A collaboration between Muji and LEGO has yielded four boxed sets -- each of which includes 120 LEGO pieces, 10 sheets of paper, and a special hole-punch that creates holes in the shape of LEGO studs. 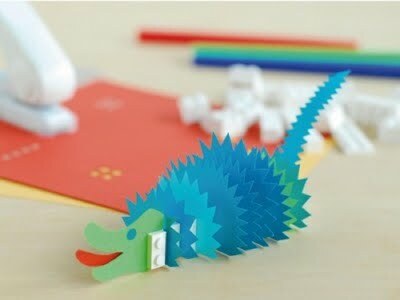 The Web site shows papercraft animals with LEGO eyes or buttons, as well as LEGO bricks being used as stands for cut out creations. It seems like it could lead to some really neat LEGO-paper combinations, but cutting paper feels like a completely different skill set than stacking bricks. Although it's interesting to think of LEGO elements as accessories or connectors.